As a Managed Service Provider your customers not only rely on you for IT Support and a range of IT Services, but they look to you as their trusted adviser to guide them on their technology journey. A key part of this journey is the cloud, with organisations either looking to embrace the cloud now or to do so in the not too distant future. The challenge for MSPs is responding to this need. Creating your own cloud offering is a substantial investment, while utilising public and commodity cloud solutions can compromise the quality of your service delivery. This is where amatis Advantage fits in. 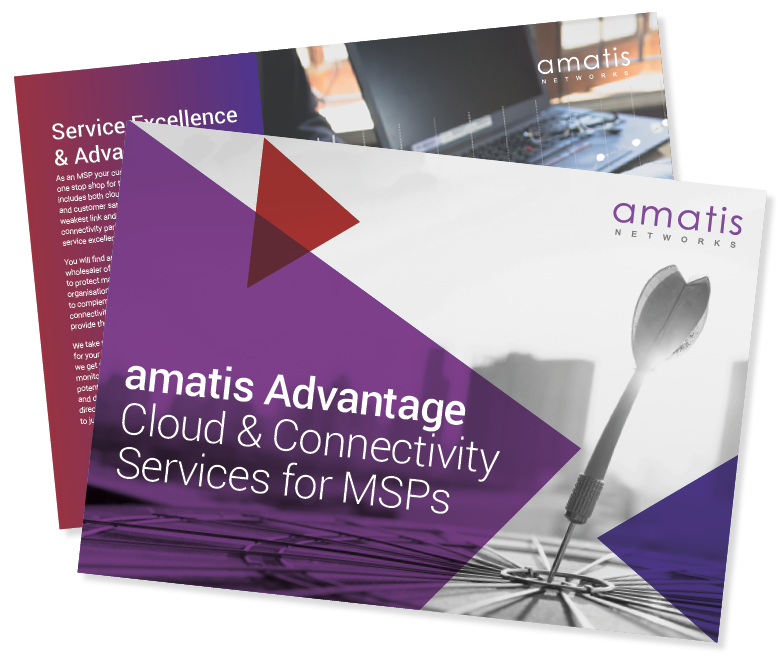 We have designed a portfolio of cloud and connectivity services specifically for MSPs all wrapped in a value-adding program designed to give our partners a distinct business advantage.